New Zealand Eradicates Invasive Mice From Antipodes Islands : The Two-Way In 2013, the government began a program to get rid the rodents from the subantarctic island, which is a World Heritage Site that is home to dozens of unique and endangered species. Antipodean wandering albatross, one of many endangered birds that were threatened by a mouse infestation on the Antipodes islands. "This is huge news for conservation both in New Zealand and internationally," said conservation minister Eugenie Sage. The Antipodes Islands, a World Heritage Site located about 470 miles south of the southern tip of New Zealand's South Island, once had a major infestation – some 200,000 mice "preyed on bird chicks and eggs, invertebrates, and plants," The New Zealand Herald says. The government says the mice are the only mammalian pest species on the remote islands and that were "likely accidentally introduced in 1893 from a ship wreck or one of the many [seal hunting] gangs." To reverse the infestation, in 2014 Wellington launched the "Million Dollar Mouse" project to raise funds to rid the islands of mice. The New Zealand public kicked in $250,000, WWF NZ provided another $100,000, and the Morgan Foundation matched donations dollar for dollar. The rest of the funding came from New Zealand's Department of Conservation, the Herald said. The newspaper writes: "The five-year project involved preparations and hut repairs, a helicopter bait-drop in June 2016, and post-eradication monitoring by just-returned teams that searched the island for a month and found no sign of mice." "The subantarctic islands are remote, but the role they play in global conservation as the home for so many unique species can't be overstated," Department of Conservation project manager Stephen Horn said. 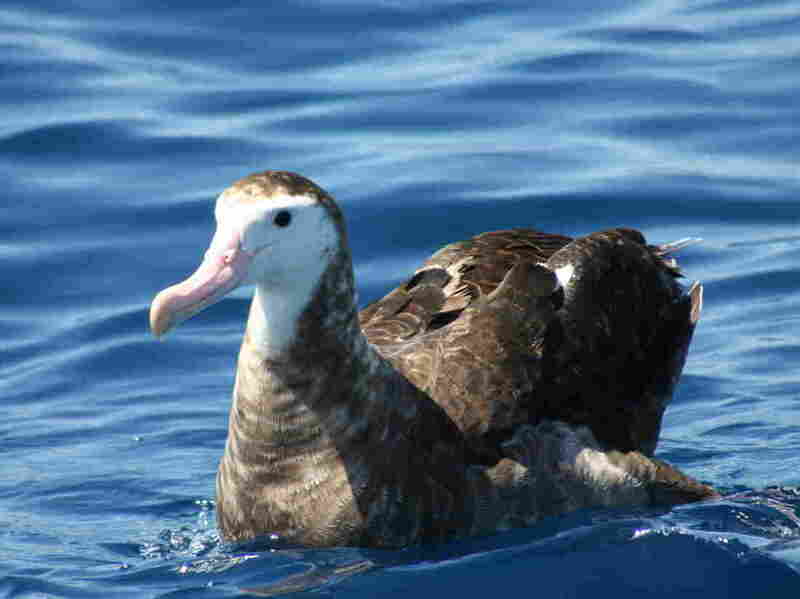 Twenty-one species of breeding seabirds – including the majestic but critically endangered Antipodean wandering albatross, as well as more than 150 species of insects — nearly one in five unique to the islands — will be among the beneficiaries of the the successful eradication project, Sage said. Since the 1990s, New Zealand has steadily made progress on clearing invasive species from its subantarctic islands – including the removal of rats, mice, rabbits, cats goats and stoats (a small, carnivorous weasel). In 2016, the country announced an ambitious plan to eliminate all such invasive species from New Zealand by 2050. According to National Geographic, "By 2025, the New Zealand government hopes to suppress or remove invasive predators from an additional 2.5 million acres (one million hectares) of land—and completely remove all introduced predators from the country's island nature reserves. The government hopes to finish the job by 2050 largely through the widespread use of traps and poisoned bait, though New Zealand is ready to innovate: It's a world leader in developing new ways to eradicate invasive mammals."